Four cycling venues in one, the Lee Valley VeloPark within the Queen Elizabeth Olympic Park includes the Olympic Velodrome track, the re-modelled Olympic BMX Track, one mile of floodlit road circuit, and five miles of mountain biking trails. From March 2014, members of the public, no matter what their ability, can use the 2012 Olympic venues and follow in the tracks of the medal winning Olympic athletes. The 250 metre indoor velodrome track is the fastest in the world, used for bikes with no gears or brakes with fixed wheels. The BMX track has been remodelled, and new mountain biking trails have been designed by one of Britain's top trail builders and graded into three levels. So, whatever your level of experience, you can book in for an hour long taster session, a skills sessions or a drop in session. Lee Valley VeloPark gyms, sporting activities, health & beauty and fitness. 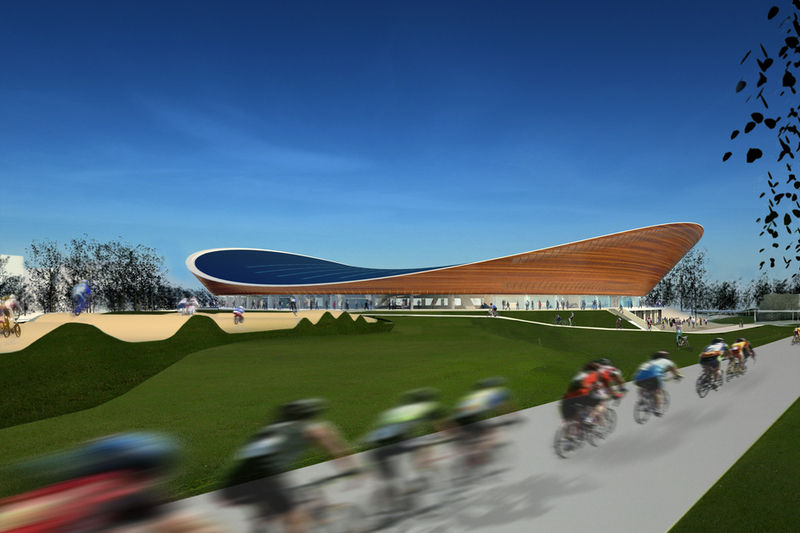 What are the best dining options near Lee Valley VeloPark London? The best pubs near London Lee Valley VeloPark. Lee Valley VeloPark clubs, bars, cabaret nights, casinos and interesting nightlife. Where to have your meeting, conference, exhibition, private dining or training course near Lee Valley VeloPark. From cheap budget places to stay to luxury 5 star hotels see our discounts for Lee Valley VeloPark hotels, including Holiday Inn Express London-Stratford from 90% off.